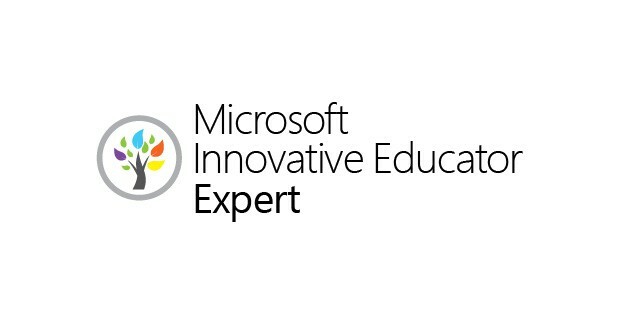 As the new school year approaches, I am happy to announce that I have been accepted to be a Microsoft Innovative Educator Expert (MIEE) for the 2017-18 academic year. This will be my 3rd year of being a MIEE and it is still a great honour to be apart of this exclusive program. For those of you that don’t know how to become a MIEE, you have to apply directly to Microsoft stating why you want to become an Innovative Expert and what you could bring to the program. I was able to showcase the work that I had done in the previous year, giving an insight into the schools and educators that I have worked with. I am also happy to announce that I will be a Microsoft Innovative Educator Master Trainer this year. Being able to call my self a MIE Master Trainer is also a great privilege and I’m hoping to build on the success I had last year with being voted as one of the top trainers in the UK by Microsoft. If you want to apply to become a Microsoft Innovative Educator Expert, more information can be found here. Although applications for this years are no longer being accepted.